Passengers may check their first bag free of charge. A second bag may be checked for $25. Each bag can be a maximum of 62 linear inches (length + width + height) and may weigh up to 50 pounds. Additional fees apply if there are 3 or more bags being checked, or if the bags are overweight or oversized. 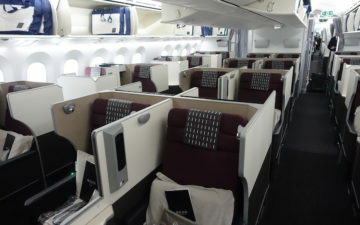 Customers traveling in the First Class Cabin may check 2 bags free of charge. Current MVP Gold Mileage Plan members may check 2 bags free of charge. Strollers, car seats, and disabled customers’ assistive devices do not count towards checked baggage allowance and may be checked without charge. Military personnel on active duty are allowed to check 2 duffel bags up to 70 pounds per bag and up to 115 linear inches free of charge. 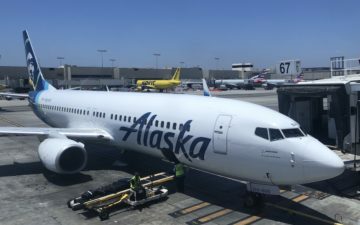 Customers making international connections to other airlines may follow the weight restrictions of the international airline, which may allow for heavier bags than the Alaska Airlines free allowance. Customers traveling solely within the state of Alaska may check 3 bags free of charge. Customers traveling to or from Guadalajara or Mexico City may check 2 bags free of charge.